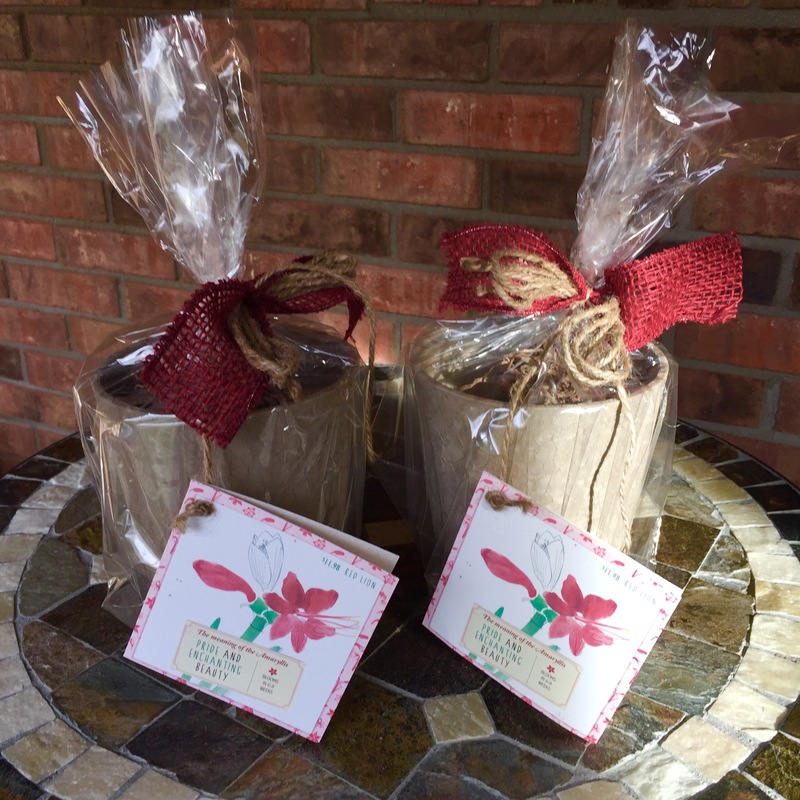 I love Amaryllis and love to give Amaryllis bulbs as gifts. A couple of years ago, Mr. G and I gave away 30 or so. Many of the recipients had never grown an Amaryllis or even knew what one was! It was a lot of fun hearing their stories. Even those with brown thumbs had success! If you’ve never grown an Amaryllis, it really is very easy and very rewarding! I found these Red Lion Amaryllis at Lowe’s. Such cute packaging! Excellent for gift giving! You will need: Healthy Bulb (It has been my experience that bigger is better. 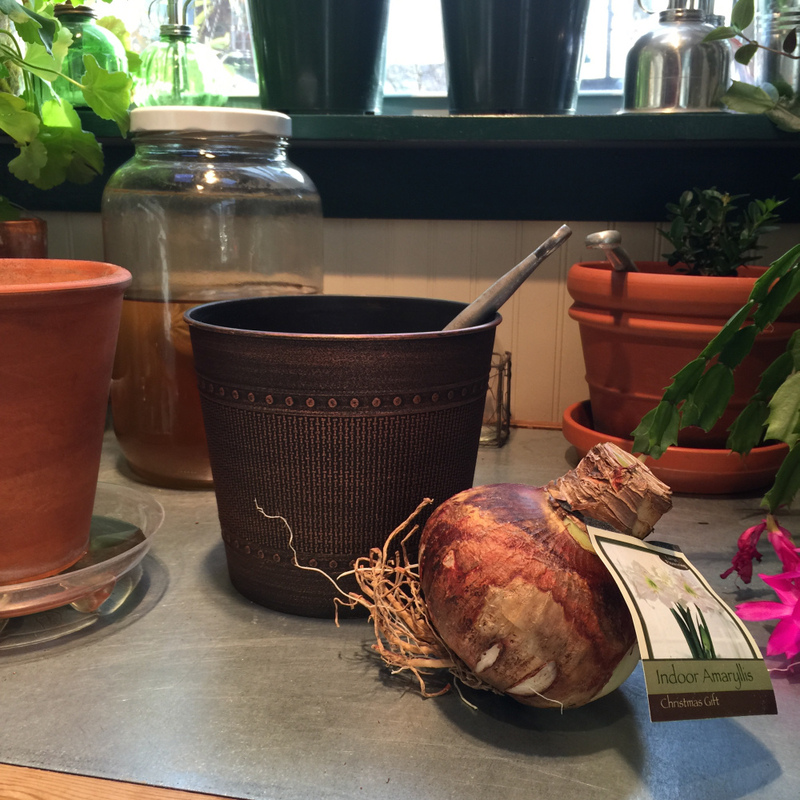 ), Light Potting Soil, Pot 2 – 4″ inches wider than bulb. Or, buy a “kit” that comes with everything you need, making it super easy to get started! The first thing I do with all indoor bulbs is soak them in Annie’s Moo Poo tea. If you have followed The Garden Diary for a while you know that all plants get their start with me this way. For more on moo poo tea, CLICK HERE. She’s also on Facebook, follow along here. The top of the bulb should show (about a third of it’s height). Soil line should be 1” below rim of the pot to make watering easier. When new growth shows, begin watering whenever the soil is dry. When you water, be careful not to get the part of the bulb that sticks above the soil wet. Turn the pot often toward light to promote balanced growth. When buds are about to open, move to a cooler, darker room to prolong the bloom time. 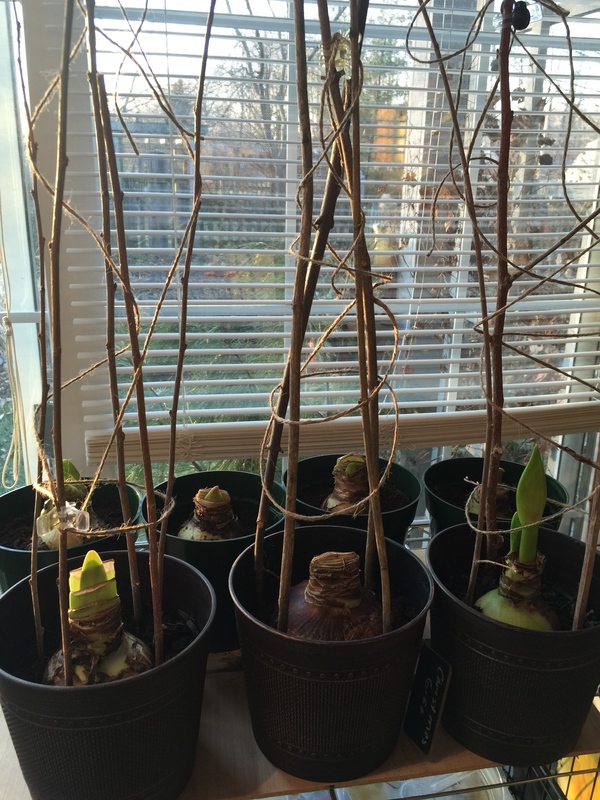 Amaryllis take 6 – 8 weeks to bloom. 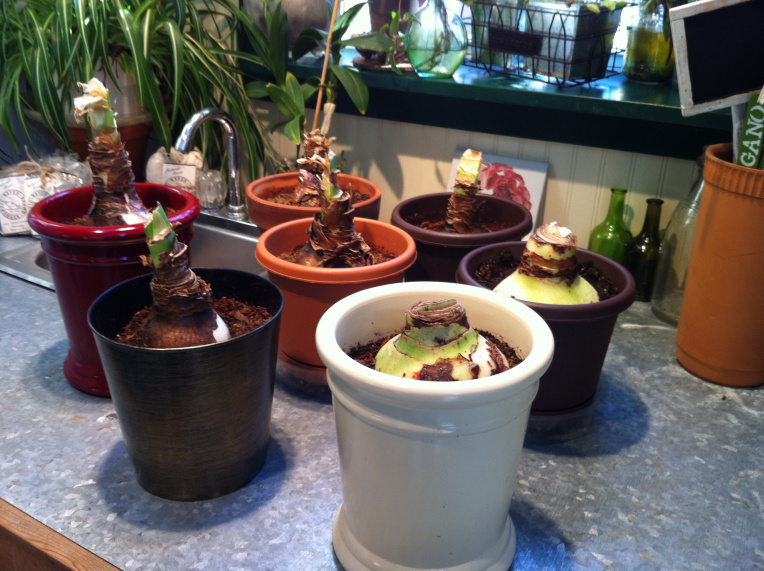 Tall amaryllis may need staking; we use dowel rods for support. You can keep your amaryllis indefinitely. Here is an article on the “rest and restoration” of your bulb. Most grow very tall and need some support. Here are the trellises I made last year with sticks and twine to add some decor and support. Confession: I am somewhat of a twine junky. 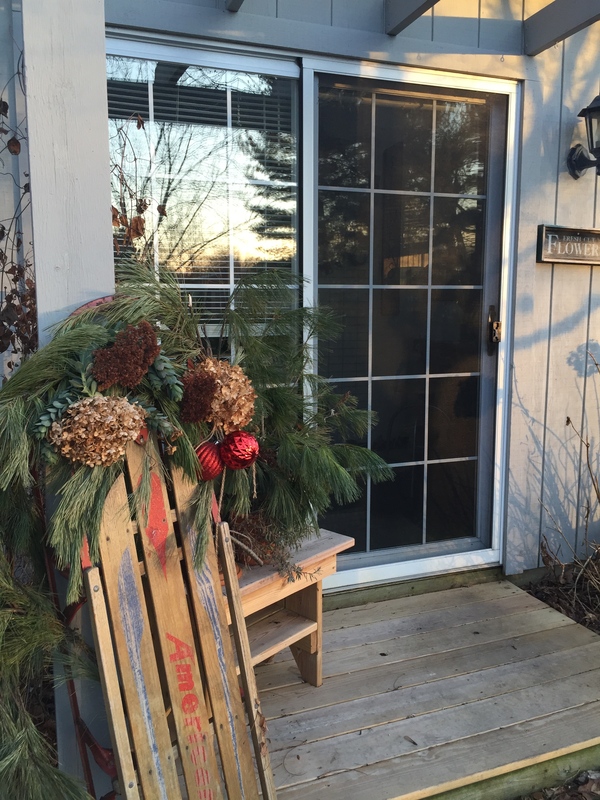 What do you grow in the winter? Maybe you are great at house plants. Me, not so much. For house plants, I go for the bullet proof varieties! Amaryllis are perfect for me. Easy. Rewarding. 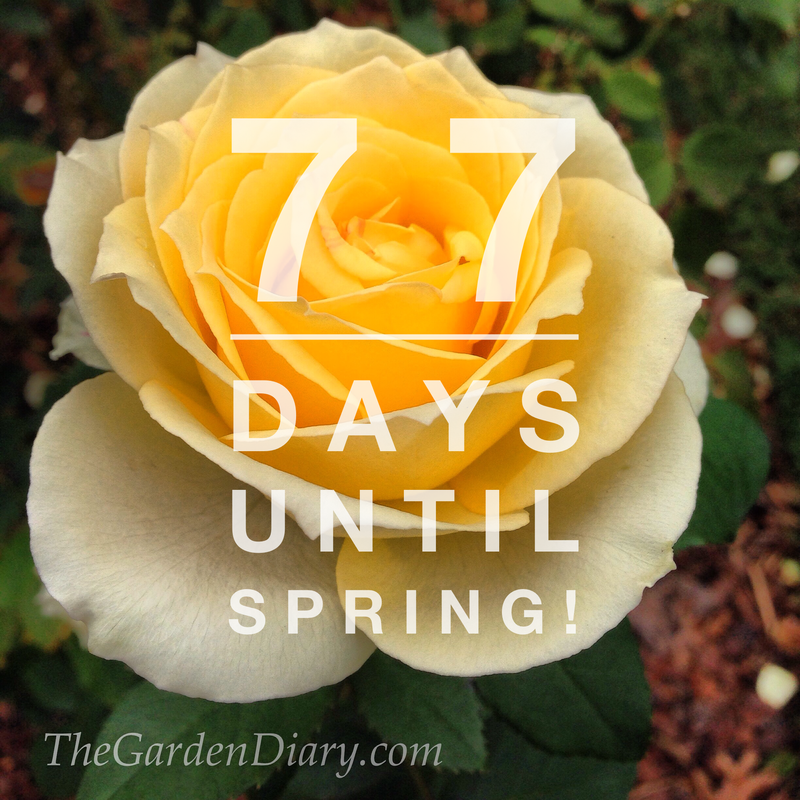 Would love to hear about your inside gardening experiences. As you know I am not a big fan of winter, but January 1 is one of my favorite days. Nothing says FRESH START / CLEAN SLATE / DO OVER / ANYTHING IS POSSIBLE like a new year! I think I have every color of amaryllis planted. They’ll be stunning in a few weeks!! An easy/breezy way to add color to your winter. Such a great return on very little investment in money or time. I have a friend who has a contest with her sister and mother each year to see whose amaryllis blooms first–all are planted on the same day … of course. 🙂 Isn’t that a great idea! For more on growing amaryllis, read on here. 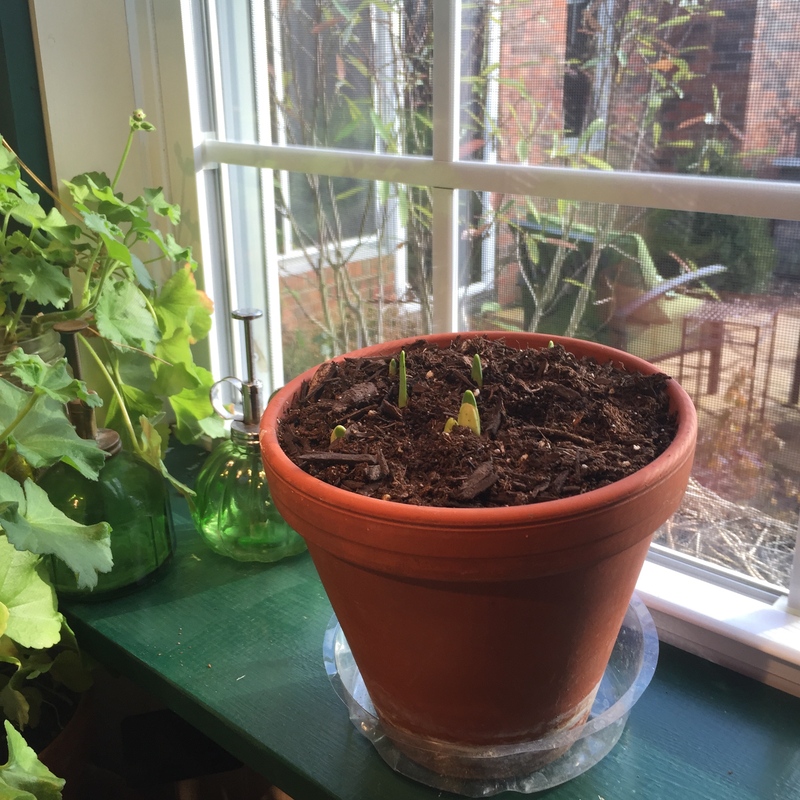 Daffodils are planted outside and inside each year in memory of a special family member who loved them too—Mr. G’s brother, our Uncle Tony. He was a wonderful man and a wonderful gardener. 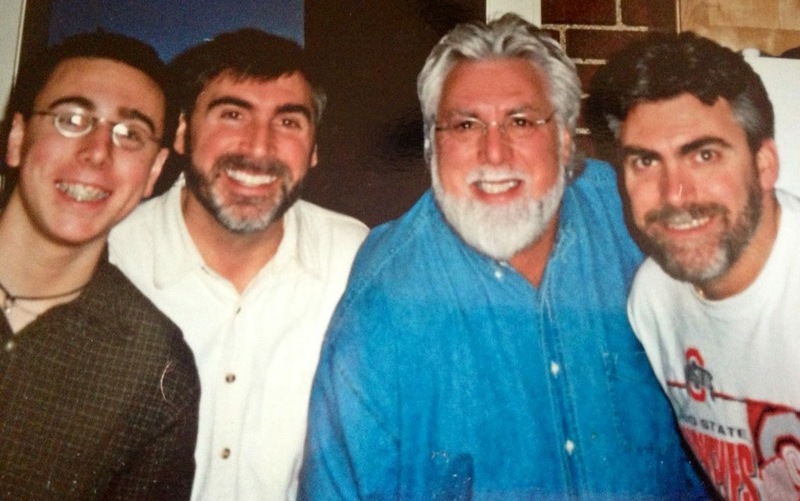 Tony is 2nd from the left. Sorry Elspeth. I’m really not trying to rush your rose season. 🙂 I love seeing your roses! You can enjoy Elspeth’s beautiful Australian garden here. You will need: Healthy Bulb (It has been my experience that bigger is better. ), Light Potting Soil, Pot 2 – 4″ inches wider than bulb. Or, buy a “kit” that comes with everything you need, making it super easy to get started! For an excellent “how to” video from Bulb.com … click here.